1. They're in Japan. I never knew much about their travels here...but when I see photos like this now, I instantly connect with them. I can feel the Japanese culture and I feel this deep deep bond to them...to our heritage...to our story. 2. That look of pure joy on their faces. It's so genuine. And was exactly how I always knew these two. Full of love. Full of love. The greatest couple I ever knew. This morning my dad called to tell me my beautiful grandma Jean had passed. She had been in hospice at my parent's house since February, so we all knew it was coming. But hearing my dad's voice on the other end of the line made me suddenly feel the distance. I felt so far away. I wanted to walk outside, across the street, and be back at my parent's house with everyone. But there I was. In the office at work. With a class schedule ahead of me and a world of people around me who's days went on per usual. She is with you, Lord. She has now entered the gates of heaven, your arms are wide open, "welcome home Jeanie." Such victory and joy in this passing, Lord, a woman who lived an honorable life, a woman who loved and cared for her children and grandchildren, a woman with a legacy. Amen. Lord, our humanity hurts when we think of death. Our flesh cringes at it, we don't like to look at it, not at all, but our souls know different. Our souls know that death is natural, our souls know we were not made for here. Isn't that wild? Doesn't that change everything? That flips it all on it's head. That flips it all around. Life...what is it? What is it about? 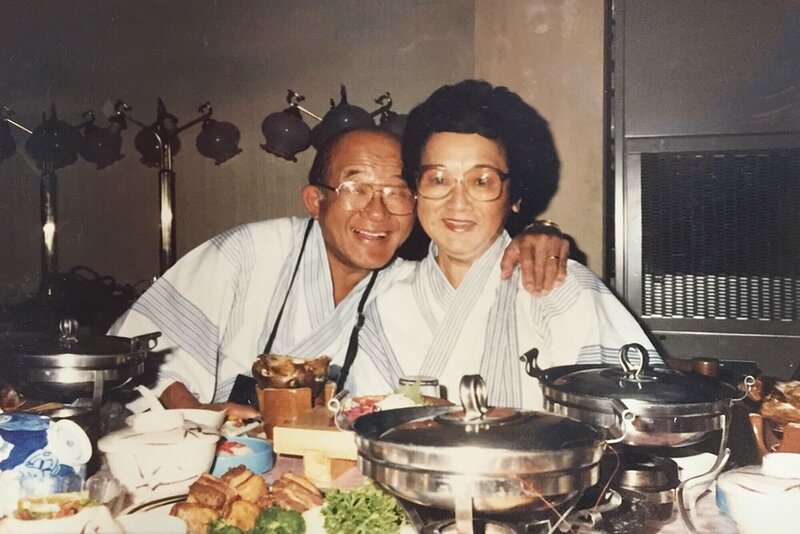 My grandparents, Jean and Ryo, Sumio and Kathy, they lived so well. Long lives. Beautiful marriages. A lineage of Godly children and grandchildren. And they passed gracefully. And they arrived at their destiny. The gates of heaven. I've experienced this moment two very distinct times before. When Gpa Sumio passed away when I was in college, and when Gpa Ryo passed away in 2016 when I was here at school. I remember this overwhelming feeling that death brings : urgency. Suddenly, nothing really matters anymore besides you, Lord. Besides truth. Besides heaven. Besides salvation and eternity. Suddenly...urgency floods me. And I know truth...reality...the end for us all : heaven's gates. So everything is thrown off balance, and nothing really matters anymore. And i'm flooded with that now, Lord. Urgency is flooding me now! What do I do with it. I can feel my head pounding. It aches because it is flooded...flooded with memories, flooded with urgency, flooded with emotion. I don't want to do anything but dwell on this. But, I have class in 25 minutes. I have 31 students to look at in the face and talk to. I have a job to do, and the world swirling around me. Life goes on, and toady will pass. All flesh is like grass, and all it's glory like the flowers of grass. The grass withers, and the flowers fall off, but the word of the Lord endures forever.